I decided to tag along for a little bit of maxbimmer.com’s annual midnight cruise and snap a few pics of the local BMW owners rides. I only had a point and shoot with no tripod so not a lot of those photos turned out but I was able to salvage a few via photo shop. I'm really into low e36's these days. Both of these were super slammed and rocking beatuiful wheels. 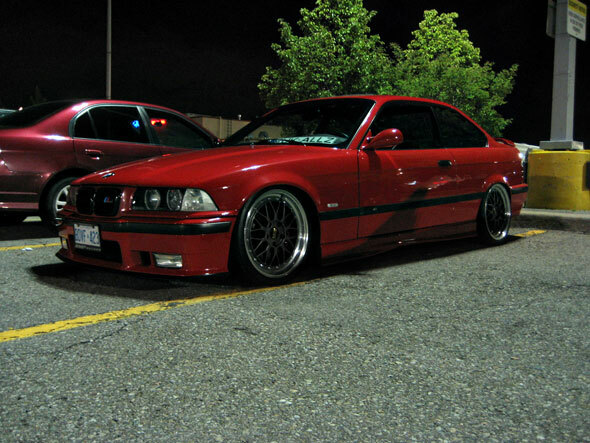 Another slammed e36, the black centers and polished lip work well on this car. Tried to get creative with a shot of the same red e36 from above. Wish I had my tripod. Fil, from Eurostyle, has a pretty unique e36s. It wears x5 wheels and a bedliner tuxedo, it's not for everyone but I like it. 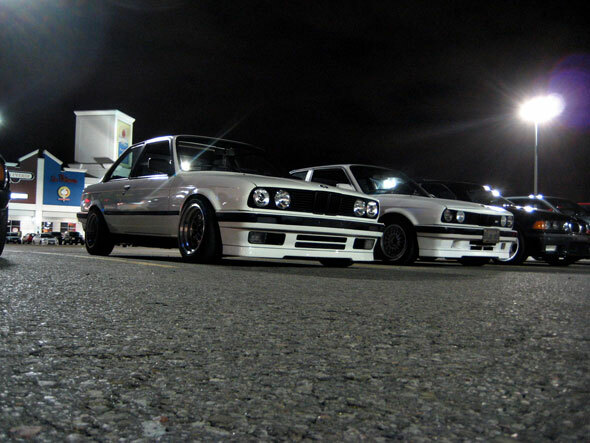 No way I could go to a BMW meet and not take a picture of an e30. The organizer, Jay (Mystikal) shows up to hand out the route maps. Everyone gathers around to listen to Jay encourage a safe orderly cruise so that we can all do it again next year. 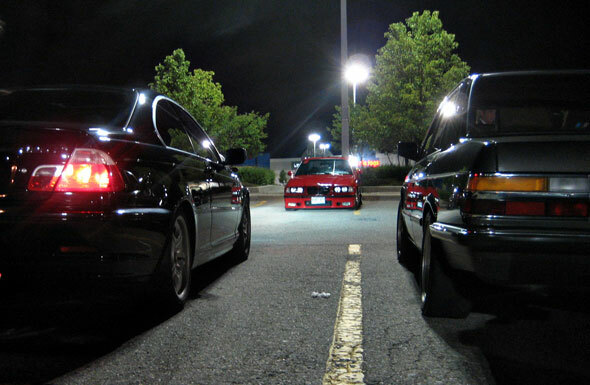 Caught this e36 and Supra on the roll out, wish this shot turned out a bit better both were really nice cars. After that I couldn’t really take pictures and drive and I didn’t stick around too much longer so if you want to see more pictures head over to this thread on maxbimmer.com. 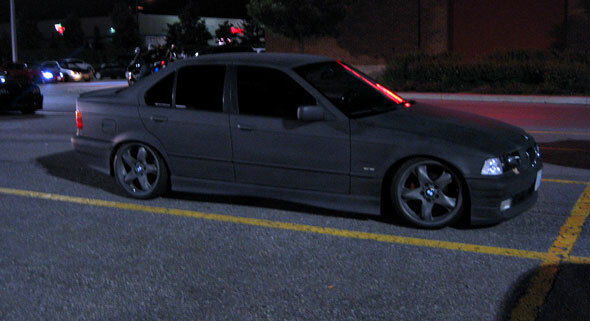 Can anyone tell me the models of BBS wheels that are in blue E36 Coupe first photo?